ShowTrackInfo(bool): Determines whether the visual information for all the closest data points will be displayed. ShowIntersectionPoints(bool): Defines a value indicating whether a visual information for all the closest data points will be displayed. 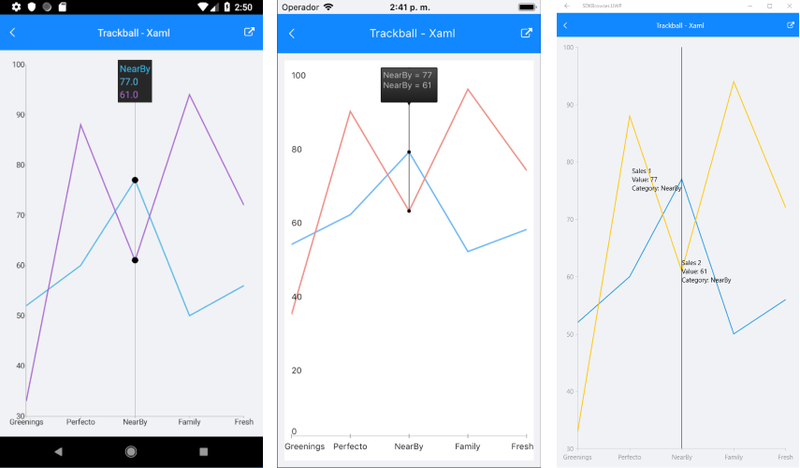 A sample TrackBall example can be found in the Chart/Interactivity folder of the SDK Samples Browser application.